This is an amazing book. 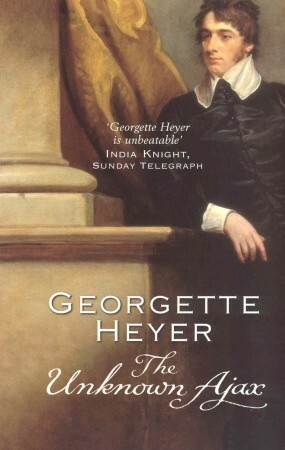 Not only does it have Heyer’s trademark range of eccentric characters and humour, but it has an emotional resonance unusual for this style of book. 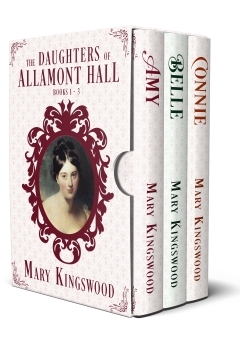 The root problem is one that’s bothered me, too, as I write my own Regency romances – what would a marriage of convenience really be like? Modern folk are so accustomed to the idea of romantic love matches that we can’t quite get to grips with the reality of a pragmatic, loveless marriage of near-strangers. 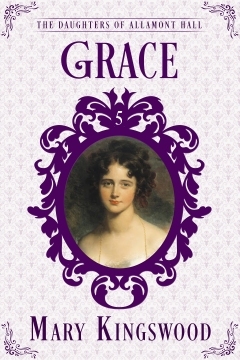 It would have been easier for the wealthy, with their separate bedrooms and almost separate lives for men and women, and the formality of Regency manners would have helped, but even so, most modern Regencies gloss over the difficulties. The hero and heroine have a few dust-ups before deciding that, actually, they’re in love after all, so cue the violins. But I wonder just how likely that would be. Here’s the premise: Adam Deveril is summoned home from his soldiering on the continent when his father dies. He discovers to his horror that the estate is virtually bankrupt. His mother’s portion is secure, but there’s no money for a season for his sister, or a dowry, and even the treasured family home will have to be sold. There’s just one way out – to marry a wealthy heiress, selling his viscountcy to the daughter of some upstart city merchant. 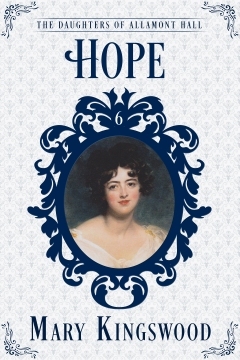 And here Heyer adds the cruel twist that gives the book so much of its emotional depth – such a marriage, while it saves Adam and his estate, would destroy for ever his chance of marrying the love of his life, the beautiful, if highly-strung Julia Oversley. Through Julia’s father, Adam is introduced to the plain and shy Jenny Chawleigh, and even her name is dowdy (her given name is the much prettier Jane, but everyone calls her Jenny). She’s been well educated, so her manners are good, but her style of dress is of the ‘more is more’ type, with lace and flounces and jewels dripping everywhere. And here is one of the most interesting elements of the book – the culture clash between Jenny’s wealthy but uncultured upbringing and Adam’s far more refined background in the upper echelons of society. The epitome of this culture clash, of course, is the character who towers over the book, dominating every scene he is in – Jonathan Chawleigh, the extremely wealthy ‘cit’ (a banker, industrialist or merchant from the city of London), Jenny’s rough and ready father. Mr Chawleigh knows perfectly well that he won’t fit in with Adam’s upper class friends, and assures him he will keep out of the way. That doesn’t stop him from stepping in to splash his money about on his behalf. When Adam decides to sell the family’s town house, Chawleigh secretly buys it and has it refurbished to his own vulgar taste while the newly weds are on honeymoon. Such episodes are a sore trial of Adam’s good manners. All of this is delicious, and very funny, but the real heart of the book is the slowly developing relationship between Adam and Jenny, and the parallel choices of his cast-off love, the melodramatic Julia. 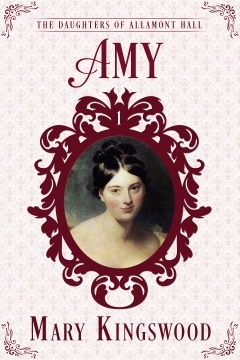 Many readers find Adam and Jenny’s story a sad one, the surrendering of intense romantic love for the quieter affection of shared interests and a comfortably placid life. I think it’s a beautiful realisation of the joy of a real marriage, one that’s fuelled by genuine affection rather than the fireworks of instant attraction. Love, rather than infatuation. A wonderful and thought-provoking read. Five stars. What is there to say about this that hasn’t been said a thousand times already? 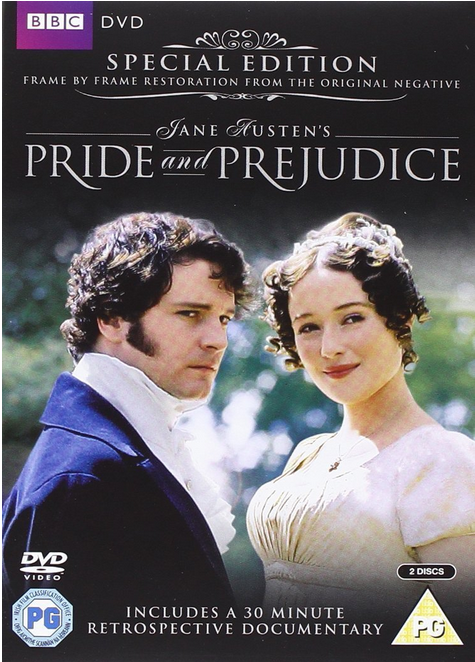 This is the definitive version, the Colin Firth and Jennifer Ehle version, the diving-in-the-lake version, the one that spawned a whole new love affair with Jane Austen and a spate of new dramatisations and inspired-by films, books and TV productions. I’ve been rewatching it for the fourth or fifth or sixth time, and enjoying it just as much as before, perhaps more so now that I know a little bit more about the Regency era than I did. Here are some random thoughts. The first thing that struck me is how quickly it becomes obvious that Darcy is in love with Elizabeth. In previous viewings, Firth’s Darcy seemed like a bit of a stiff-necked so-and-so, whose proposal at Hunsford comes out of the blue. Yet his face often shows a softness as he looks at Elizabeth. Why did I never notice this before? The second thing is that Alison Steadman’s Mrs Bennet finally grated on me. I’ve read so many reviews complaining about her shrillness, but this was the first time I really noticed it. I noticed, too, just how licentious Lydia is almost right from the start. When she bumps into Mr Collins on the landing, when she’s in her underwear, any well-brought-up young lady would be mortified, but Lydia screams with laughter. And she wants to go into Meryton early one day in order to catch the officers before they’re dressed (probably not seriously, but she shouldn’t even be thinking about such things). Most of the characters I think are pretty well perfect for their roles. Mr Collins, Mr Bennet, Mr Bingley and Mr Darcy are incomparable. Elizabeth I have reservations about, but I like her better with each viewing. I’ve never much liked Miss Bingley. 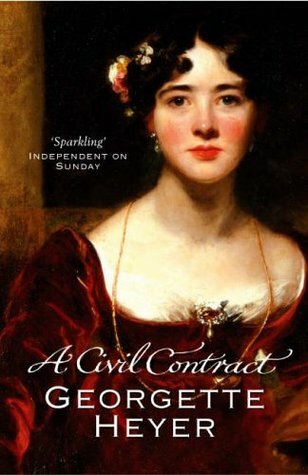 She seems too obvious in her pursuit of Mr Darcy (but I suppose she is in the book as well). I really liked that the six-episode format which gave the story room to breathe. No minor characters got wiped out, pretty much all the important scenes survived intact and there were few changes to the dialogue. I’m a particular fan of the piano scene at Rosings, where Elizabeth is to all intents and purposes flirting with Darcy through the medium of Colonel FitzWilliam (”Shall we ask your cousin why…?”). I adore this scene, because to her it’s lightweight joking around, but he’s genuinely responding to her and openly paying her compliments (”Your time has been much better spent.”). And his face when he looks at her is quite adoring. No wonder he assumed she was waiting for him to pay his addresses! The letter is handled really well in this version. We see both Darcy’s determination to write it, staying up all night, and then Elizabeth’s reactions to it (’Insufferable presumption!’). And then the irony of her visit to Pemberley, when the housekeeper is praising Darcy to the skies, Mrs Gardiner is very confused and Elizabeth is unable to explain the discrepancy. And then the awkwardness of meeting Darcy again, his overwhelming civility and the way Mrs Gardiner immediately jumps to the obvious conclusion. This was all wonderful. And the meeting with Miss Darcy and Mr Bingley at the inn is perfect. If I have any complaint at all about the later scenes, it is that the proposal falls short of expectations. Yes, it’s exactly as per the book, but, given the passion of earlier scenes – the first proposal, that moment of revelation in the inn when Elizabeth has just discovered Lydia’s folly, and the spirited debate with Lady Catherine – the final proposal really needs some fireworks. It needed it in the book, too, and it’s one of very few instances where I’d have been in favour of a little artistic licence. But that apart, this version is, to my mind, well-nigh perfect. It stays true to the words and the spirit of the original, it captures the essence of all the characters, the acting, settings and costumes are awesome, and it gives the story the room it needs to breathe. The ensemble scenes, like the Meryton assembly and the ball at Netherfield are handled brilliantly, with little vignettes constantly firing off in the background, and all the major scenes are beautifully done. Scarcely a mis-step in the whole production. This was a disappointment. 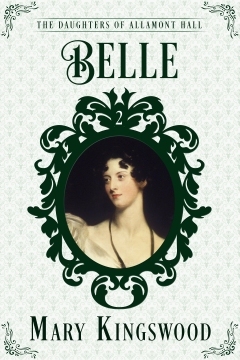 The premise is fun, if not wildly original (it’s basically the plot of Georgette Heyer’s Arabella, with a few minor variations), but the execution is not all it might be. The characters have some charm, but the writing lacks lustre, with dialogue that feels too modern and a number of historical inaccuracies. Let’s deal with the plot first. 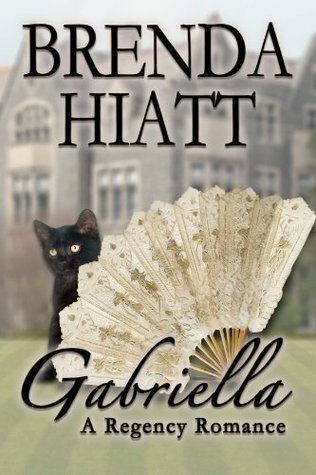 Gabriella (shortened infelicitously to Brie) is an impoverished younger daughter of a veterinary surgeon, about to be launched into society by her social-climbing and catty older sister Angela. At an inn en route, she sees a maltreated horse and gives the owner a piece of her mind. He, having been interrupted in mid-seduction, isn’t best pleased. But back in London, he’s lost a wager, and finds that his penance is to bring out country-mouse Gabriella (sorry, I refuse to call her Brie; that’s a cheese, not a person). Needless to say, he’s a duke (aren’t they all?). So far, so good. 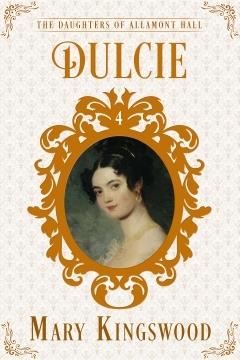 Of course, anyone who’s read a few Regencies could plot out the rest of the book – the reluctant early meetings, the growing attraction, the rival suitor who turns out to be a cad, the realisation of True Love just when All Seems Lost, and naturally, the Misunderstanding. Heaven preserve me from misunderstandings. But none of this is a problem, because with a light hand, some lively dialogue and some amusing side characters, this could be a delightful piece of froth. I actually believe that the author’s capable of that, for the bare bones were there, but it just fell a bit flat for me and was too solemn to be properly entertaining. The biggest problem was the number of historical inaccuracies. The sister must be the world’s worst chaperon, for she allows Gabriella to gad about on her own with her suitors and to wander about unattended at balls and the like. The duke even takes her to Almack’s with only his younger, unmarried sister with them, which leaves both of them unchaperoned. And then he waltzes with her without the explicit permission of one of the patronesses (he says he’s asked, as if that would cut any ice!). And then he generously gives permission for Gabriella’s suitors to call on her the next day, as if he had any right! I could go on, because there were a lot of these niggly little things that don’t matter much to most people, but knocked me out of immersion right away. But hey, I’m nit-picky about this stuff. And I don’t think she’d call him by his first name, even when he asked her to. She might show her intimacy by calling him Ravenham instead of your grace, but not Dexter (another shockingly unRegency name). 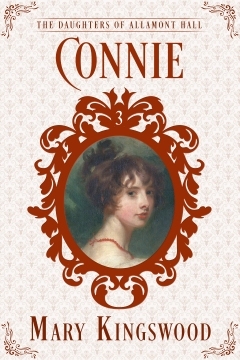 On the plus side, the romance, once it gets going, is rather charming, I liked the two main characters and the editing is up to scratch, and it’s a pleasant, undemanding read. I’m sure it would work fine for anyone who’s less pedantic than me about details. I understand this was the author’s first foray into the genre, and there’s enough promise in this to make me want to try a later one. Even so, there were enough niggles to keep it to three stars for me.